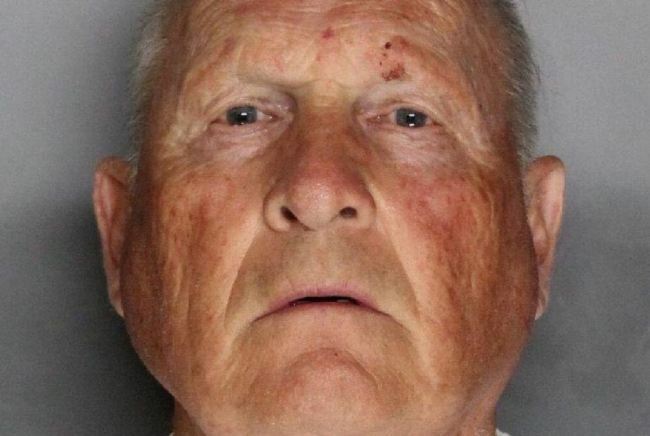 SACRAMENTO, Calif. -- An elderly former policeman has been arrested and charged with eight murders attributed to the Golden State Killer, a serial criminal responsible for dozens of rapes and slayings that terrorized parts of California during the 1970s and 1980s, authorities said on Wednesday. Jones said DeAngelo was an officer in two small-town California police departments during the 1970s - Exeter and Auburn. DeAngelo was fired from the Auburn force in 1979, Jones said, after being accused of shoplifting a hammer and dog repellant from a store.